Afghanistan marked a national day of mourning on Sunday, a day after at least 80 people were killed by a suicide bomber attack on a peaceful demonstration. 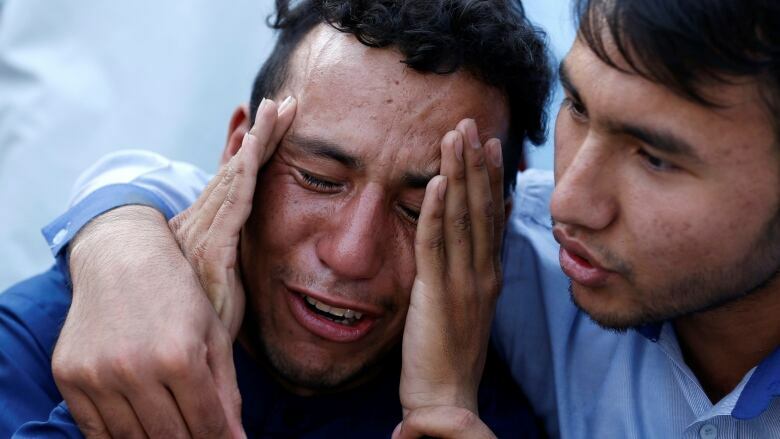 Afghanistan marked a national day of mourning on Sunday, a day after at least 80 people were killed by a suicide bomber attack on a peaceful demonstration. The attack was claimed by the Islamic State of Iraq and Syria (ISIS). Funerals were due to begin quietly in western Kabul as families collected their dead from hospitals and morgues across the capital, and graves were dug in preparation. 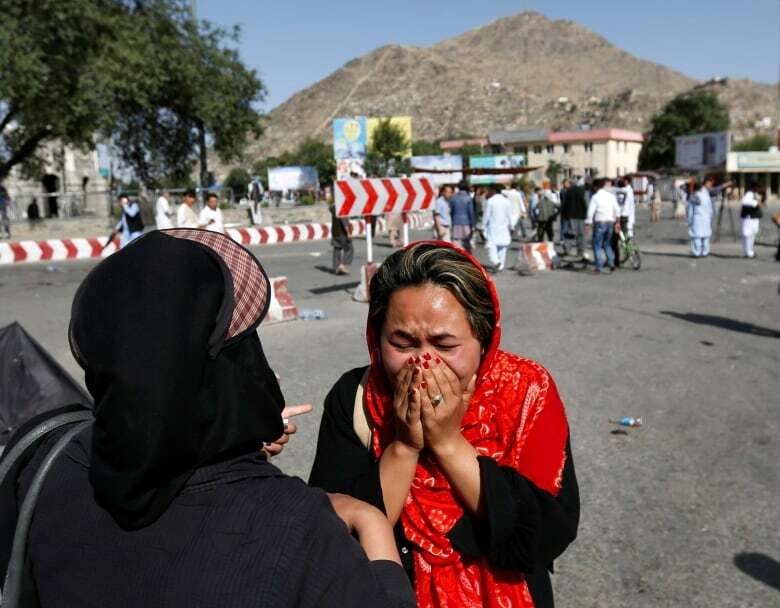 Authorities say another 231 people were wounded, some seriously, in the attack Saturday afternoon on a march by members of the ethnic Hazara community, who are predominantly Shia Muslim. Most Afghans are Sunni, and ISIS regards Shia as apostates. ISIS has had a presence in Afghanistan for the past year, mainly in the eastern province of Nangarhar along the Pakistani border. The Afghan military, backed by U.S. troops, is planning an offensive against ISIS positions in Nangarhar in coming days. 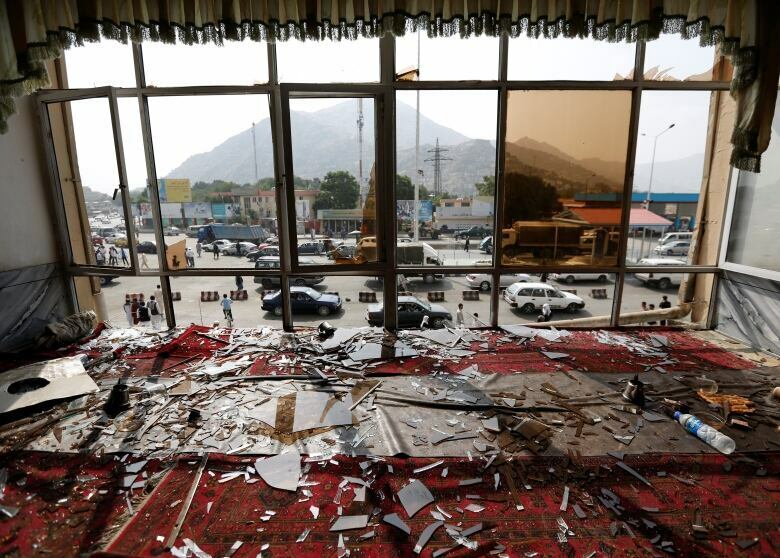 It was the first ISIS attack on Kabul — and the city's worst since a vicious Taliban insurgency began 15 years ago — raising concerns about the group's reach and capability in Afghanistan. Prior to the Saturday attack, thousands of Hazaras had marched through Kabul to demand the rerouting of a power line through their impoverished province of Bamiyan, in the central highlands. It was their second demonstration; the first was in May with had a much better turnout and attended by senior Hazara politicians who were absent from Saturday's march. Hazaras account for about 15 per cent of Afghanistan's population, estimated at around 30 million, and often complain of discrimination. During the Taliban's 1996-2001 rule, Hazaras were often brutalized more than other ethnic groups. 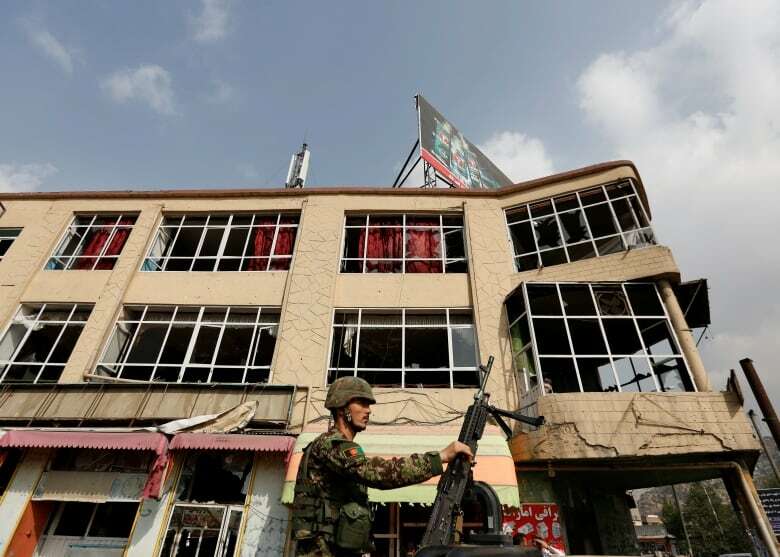 The Saturday attack has raised concerns about sectarianism, and the Interior Ministry announced a ban on public gatherings and demonstrations in a potential bid to avoid any inter-communal strife. A presidential spokesman pointed out that the ban on public gatherings would not apply to funerals for Saturday's victims. Hazara demonstrators have continued to occupy Demazang Square, where the attack took place as the march was winding down and some were preparing to set up a camp, Naji said, until three conditions had been met. He said the Enlighten Movement wished to have its own representatives, as well as others from international human rights organizations, involved in a commission Ghani has established to investigate the incident. The movement also wanted the pipeline rerouted through Bamiyan, as originally demanded. The multi-million-dollar regional project was routed away from Bamiyan by the previous Afghan government for financial considerations, according to people involved in the planning, who have spoken on condition that they not be named as they are not authorized to speak publicly on the issue. And, Naji said, they wanted the name of Demazang Square changed to Shahada or Martyrs' Square, "to honour the memories of those who were killed, along with a picture of everyone who died there." The death toll was not yet finalized Sunday, according to the Interior Ministry. The ministry said on Saturday that 80 people were killed; Naji said the Enlighten Movement puts the toll so far at 84. There was also confusion about the exact nature of the attack, with many witnesses claiming the suicide bombers had been supplemented with explosives contained in an ice-cream cart. Officials on Saturday said there were two suicide bombers wearing explosive-packed clothing. One detonated himself, the other was shot by police before he was able to blow himself up, they said.